Students aren’t the only ones who need more time to learn; teachers also need more and better time for learning and for planning. Teachers accomplish so many important things with such little time. They teach several subjects or courses each day, review student work, plan differentiated lessons to meet the needs of diverse learners in their classroom, and strategize with parents and specialists about how to support individual students. Teaching is a full immersion experience. When teachers are at school, most of their time is spent face-to-face with students, simultaneously playing the roles of instructor, counselor, coach and nurse. As a group, they have big hearts and are selfless in their efforts to teach and care for their students. But a productive day of teaching requires substantial planning time to choose effective strategies, design lessons, prepare materials and collaborate with others. Any good teacher will tell you this, and they do, whenever they are asked. Teachers from Wisconsin were asked, “When all is said and done, which of the following do you believe would have the greatest positive impact on your ability to help your students learn and realize their potential?” They listed more planning time as their top choice, above more money or fewer disruptive students (Wood Communications Group, 2014, p. 19). Another group of teachers ranked more planning time during the school day as the most important factor that would help them with their teaching (Rentner, Kober, & Frizzell, 2016). Teachers also have listed lack of planning time as a reason for leaving the profession and as a barrier to successful implementation of curricular reforms or evidence-based practices (McGoey et al., 2014; Provasnik & Dorman, 2005). Teaching is more complex in this decade than ever before as educators adapt to new curricular reforms and assessments, implement social and emotional learning programs, and plan learning for an increasingly diverse student population. Teachers also have access to so much information about effective teaching strategies and interventions. They need time to process and integrate new information from professional development, review student data from multiple sources for decision making, and provide timely, constructive feedback for students on their learning. Reflect on how my reading lesson went and how I should adjust instruction for the next day. These missed or afforded opportunities accumulate over time, undoubtedly affecting student learning. Typical elementary teachers in the United States spend about 32 hours a week with students and are paid to work 38 hours weekly on average (NCES, 2012). Middle and high school teachers spend about 30 hours weekly with students and are paid to work 38 hours weekly (NCES, 2012). This leaves very little time to accomplish all of the tasks that influence what they do when they are with students. 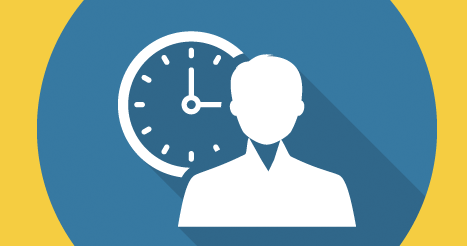 One study found that most teachers have about 45 minutes of planning time per day within their contract hours, with a range from 12 to 80 minutes for elementary teachers and 30 to 96 minutes for secondary teachers (NCTQ, 2012). Interestingly, only one secondary school reported a planning time less than 45 minutes, but 18 elementary schools were in the 12- to 30-minute range. Are teachers with 12 to 15 or even 30 minutes of planning time a day able to plan productive and engaging instruction for students and differentiate to meet their individual needs? Certainly not if they stick to contract hours. This is why a typical K-12 teacher works about 52 hours a week (NCES, 2012). Many other countries with higher-performing students give teachers more planning time within their contracted hours. Secondary teachers in the United States and Chile spend significantly more time instructing students than the average of 20 hours weekly in other countries (OECD, 2014a). Yet students in Chile and the United States score below other countries where teachers spend less time with their students. Primary teachers in other countries spend an average of 21 hours a week on teaching (OECD, 2014b). How can these countries provide more planning time within contract hours for teachers? In some cases, class sizes are much larger than typical American schools, and in other cases, students have shorter school days so teachers can have more time to prepare each day. Teachers need two types of planning time; individual planning time to focus on what they’re doing in their own classrooms, and common planning time with colleagues who teach the same grade level or subject. Individual planning time is needed every day in order to prepare materials for upcoming lessons, review student work, and interact with specialists and parents about individual students. Common planning time occurs once or twice weekly and is often set aside for meetings with teachers in the same subject or grade level, or specialists who work with the same students. Common planning time enables teachers to meet and collaborate on important work and decision making about students and instruction. In many schools, this happens through professional learning communities (PLCs) when groups of teachers collaborate to plan, implement, reflect on, and modify instruction as they strive to help students learn. PLC work in my building felt very productive to me and was something I looked forward to. One year, administrators at my elementary school decided that teachers needed individual planning time every day and common planning time once a week. They modified the schedule to provide an extra 40-minute block on Friday for PLCs in addition to individual planning time. They accomplished this by asking qualified teaching assistants to lead computer lab activities and Spanish classes for students on alternate Fridays. This meant that teachers could talk about plans for struggling learners, compare notes on lessons and instructional strategies, and determine who needed enrichment or review of current topics as we thought ahead to the next week. This administrative decision was very helpful in supporting the development of our professional learning community. Sadly, staffing changes and budget cuts resulted in elimination of this extra planning time, and teachers at that school now have PLC time instead of individual planning time some days. Districts differ in the extent to which they encourage or provide collaborative planning time. Some simply encourage teachers to collaborate during their individual planning time, and others designate blocks of time and even prescribe agendas or tasks during that time. Teachers in Shanghai have much more planning time than U.S. teachers (Kraemer, 2016). They regularly meet with colleagues to design, enact, and reflect on effective lesson ideas, and they have a lot of autonomy over how they use their individual and common planning time. In other words, they are treated as professionals who know what they and their students need and are allowed to set agendas and plan meetings as needed. Some of my most productive collaborative planning times were when I chose to sit down with a peer to map out a math or science unit together, pulling the best resources from each of our files and talking through what worked or didn’t work previously. Accomplishing more planning time for teachers requires knowledge of the teacher contract, state policy expectations, and scheduling constraints in any school or district. Since every school and every district is unique, the same solution won’t work for every scenario. But many districts are coming up with creative solutions that can be considered by others. Shorter days for students. Some districts have added more planning time for teachers in response to the demands of unions and teacher leaders. Late arrival and early release times can provide teachers with common planning time for PLC work. For example, the Mason Public Schools district in Michigan follows a late-start Wednesday schedule so teachers can meet in their PLCs for an hour before students arrive. Parents have the option of registering for free before-school care on Wednesday mornings where students can participate in computer activities, independent reading, math games and homework help led by paraprofessionals who work at the schools. Many districts are providing information for families about the reason for schedule changes, and how students will benefit when teachers participate in PLCs. If students are in school for less time, but the time is better planned and more focused, teachers and students will benefit. Talk with the school psychologist, counselor, or social worker about students I was worried about. These days allowed me to catch up, rejuvenate, and think ahead. There is wide variability in the number of teacher work days provided to teachers, from two to 18, with an average of nine days per district (NCTQ, 2012). District leaders need to build in these professional development days and balance meetings and professional development days with other days where teachers have autonomy to collaborate and work independently as needed. Hire more PE teachers to provide daily exercise for students. Increase the number of science specialists to provide supplemental, engaging instruction since science time is shrinking in elementary schools. Train instructional assistants or parent volunteers in effective strategies for read-aloud, then add in more read-aloud time and paid time for assistants each day. Add more recess time, which students appreciate and benefit from. Hire environmental educators to take students outdoors to explore, connect with nature, and reenergize. Add garden educators to cultivate schoolyard gardens with students and provide interdisciplinary lessons that connect to the curriculum. These are just a few suggestions for increasing planning time while also adding beneficial learning activities for students. Focus groups that include parents, teachers, administrators and students could provide other creative ideas, or help decide what would work best within a specific district. Considering how often teachers raise the issue of needing more time, especially for planning, there is remarkably little hard evidence on questions related to planning time. Early release days, teacher work days, and increased staffing all cost districts money, and these changes must be justified to parents and taxpayers. Yet no available evidence exists that allows us to weigh these budget decisions against other important expenses, such as class-size reduction. Educators, policy makers, and the public need research that systematically examines the amount and type of planning time as a factor in outcomes that we all care about, such as teacher job satisfaction, implementation of evidence-based practices and new reforms, effective instruction, student learning and engagement. Existing studies are descriptive or correlational and do not provide enough information to motivate districts to change policies. Natural and randomized experiments can be used to study planning time as a key variable. Similar to longitudinal studies where students were assigned to varying class sizes, planning time studies could vary duration, timing, or type (individual vs. common) of planning times, and measure teacher and student outcomes. More research would help us learn if there might be a solution that optimizes teacher productivity and job satisfaction while still not overwhelming a district budget. Data sets may be available to explore relations between planning time and key outcomes. At the very least, policy analysts should collect school and teacher-level data on teacher planning time and consider it as one of many factors that influence outcomes. Teachers in the United States spend more time with students than teachers in most other countries. Demands on teachers are high, and many effective teachers are leaving the profession. Teachers have reported that planning time is critical to their job satisfaction, and that adding planning time would positively affect their ability to help students reach their potential. Teacher unions often specify minimal requirements for planning time, but no clear recommendations are written for “optimal” planning time duration or frequency. Some districts are listening to teachers and trying creative solutions to provide more planning time. Other districts can’t justify decisions to change school schedules or increase staffing to add more planning time based on existing evidence. Some research suggests that when teachers participate in professional learning communities that focus on student learning, student achievement improves (Vescio, Ross, & Adams, 2008). More research is needed to determine the extent to which additional planning time yields benefits for students and teachers. But while we’re waiting for evidence to accumulate, we should trust teachers who are asking for more time, and make planning time a high priority in budgeting decisions. Instead of implementing costly interventions that yield minimal results in schools, we should pay more attention to the repeated requests from teachers about how to support them in their daily work. Teachers are dedicated, wise, and thoughtful change agents. They need more time to identify problems they see in their schools or classrooms and work individually and collectively on solutions. McGoey, K.E., Rispoli, K.M., Venesky, L.G., Schaffner, K.F., McGuirk, L., & Marshall, S. (2014). A preliminary investigation into teacher perceptions of the barriers to behavior intervention implementation. Journal of Applied School Psychology, 30 (4), 375-390. Organization for Economic Cooperation & Development (OECD). (2014a). A teacher’s guide to TALIS 2013: Teaching and learning international survey. Paris, France: Author. Organization for Economic Cooperation & Development (OECD). (2014b). New insights from TALIS 2013: Teaching and learning in primary education. Paris, France: Author. Vescio, V., Ross, D., & Adams, A. (2008). A review of research on the impact of professional learning communities on teaching practice and student learning. Teaching and Teacher Education, 24 (1), 80-91. Wood Communications Group. (2014). Business and education in Wisconsin: New expectations, needs, and visions are reshaping a vital, historic relationship. Madison, WI: Author. Originally published in December 2016/January 2017 Phi Delta Kappan 98 (4), 31-36. © 2016 Phi Delta Kappa International. All rights reserved. EILEEN G. MERRITT (Eileen.Merritt@asu.edu, @eileengmerritt) is an assistant professor of education at the Mary Lou Fulton Teachers College at Arizona State University, Tempe, Ariz., and a former teacher in Albemarle County (Va.) Public Schools.